Social media is an ever-evolving landscape. Having a compelling online presence is simply not enough to keep up with your competition. I have compiled a list of top social media marketing tips from the savviest social media pros from around the globe to help you craft a strategy that fits your business needs. Co-founder of Web Profits and a leading expert in digital marketing, Sujan Patel believes that if you want your follower count to soar on social media networks you need to add diversity to the content you are sharing. From posting what they are passionate about to sharing behind the scenes looks, businesses can personalize their posts and make them more human and authentic. Award winning content marketer, Rebekah Radice stresses the importance of staying on top of current events when it comes to Facebook Marketing. Sharing a hot news story capitalizes on the conversations happening right now in your field or niche” while “sharing trending or hot topics, lets you add context around the content”, says Rebekah. Timely content has the tendency to reach a wider audience and trigger more shares. Influencer Marketing is the new shiny tool in today’s marketer’s toolbox, but it needs to be used with caution, Marketing Transformation strategist, Mark Schaefer says. “You need to pick influencers who are tied to what you do, and you need to measure the results they’re able to produce,” Mark cautions. Make sure you are adhering to the regulations and don’t forget people who love your brand and can serve as true brand advocates. From celebrating national days to spreading goodwill around causes you think your audience cares about, special events or trending topics allow you to take full advantage of social media without making your followers feel that they are bombarded with promotional content. “Trends and special events are a great way to reach your audience on an emotional level, appealing to their desire to share information, feel like part of a group, and provide value to their own audience,” No. 1 Global Digital Marketing Influencer, Jeff Bullas says. Co Author of Amazon best seller: Web Marketing That Works, international social media speaker and marketing manager at Bluewire Media, Adam Franklin advocates the 80/20 principal for small business when it comes to engaging with the right people and using the right platforms to promote your brand. According to the 80/20 rule, 80% of the results come from 20% of the causes, hence shifting your focus only on the things that really matter. “Pick a couple of things and do them well rather than getting overwhelmed by all the different stuff out there because it’s way too easy to spread yourself too thin.” Adam says in this podcast SFP 24: Social Media Marketing That Works. Sharing the lessons learned from her personal experiences, Social media strategist and visual marketing specialist, Donna Mortiz thinks that brands need to stop treating their fans and followers as mere numbers. “Think of them as people you want to get to know. Use names. And get the spelling right… show the people behind your business,” Donna says. At the end of the day it’s about creating experiences and not just selling products. Marketing Keynote speaker and founder of Razor Social, Ian Cleary believes that most of the great content brands share on social media gets missed by your audience, because their timeline gets updated so frequently. “Create less content but make it higher quality and promote it more.” Ian says! This way you increase the chances of your content to reach relevant audience and you will witness a boost in engagement. Named among the top 10 marketers by Forbes, entrepreneur and a leading influencer on the web, Neil Patel defines gated content as one that users get once they complete an action to get to the other side of the gate. What does that mean? This means a simple social media post leads your audience to the article which asks them if they are interested in a product or offer! If they say yes, they need to take an action (subscribe to an email list or share/like something) in order to get what they want. “If you’ve got something that’s excellent and if you can communicate that to your audience, then your audience will understand that their name and email is a small price to pay for what they’re getting,” Neil says. This will help you increase engagement while land more people on your website from your social media channel. Marketing consultant and keynote speaker, Jay Baer believes that a social media strategy should not be owned by any one person or group of individuals in a company. Since it impacts every aspect of your business, it “should be more like air (everywhere) than like water (you have to go get it),” Baer says in his article Social Media Strategy in 8 Steps. Baer who is also the president of Convince and Convert and authors several books including Hug Your Haters: How To Embrace Complaints And Keep Your Customers says the very first step should be to create cross-functional teams that are able to understand and operate the rest of the social media strategy. 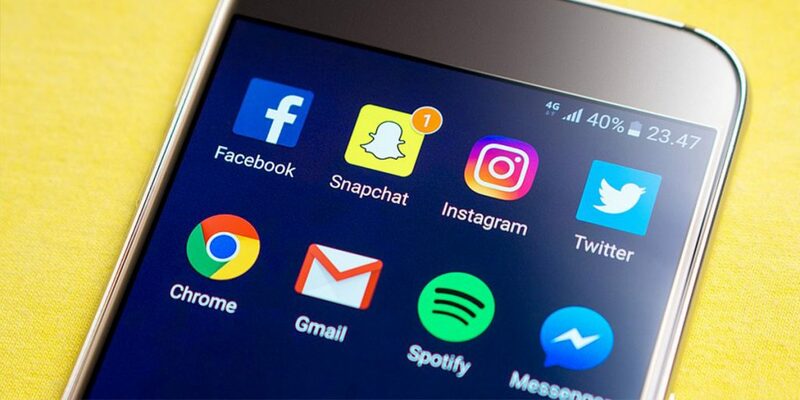 Rather, putting out content on Facebook, Twitter, Instagram, Snapchat, YouTube and LinkedIn focusing on whatever has market’s attention at a given point in time, is going to be the key to getting noticed on social media in 2017. An important part of your social media strategy is to appreciate the work others are doing and most likely the favour would be returned sooner or later. With attention spans of your target audience shrinking with every passing day, do you really think they are reading your over 1500 words blog post, that you have spent so much time and effort on? What’s the solution? You need to adapt to a world where people share without reading, co-founder and strategic director, Orbit Media, Andy Crestodina says. Focus on the headlines: Articles don’t get shared. Only headlines get shared! Don’t get caught up in sharing metrics. They don’t correlate to traffic. Nothing is perfect. There is always room for improvement. Everything can be better than it already is! Then why fret? Don’t let the pursuit of perfection stall your progress, social media speaker, trainer and author, Peg Fitzpatrick suggests. “Give up the impossible ideal of “being perfect.” While maintaining professionalism and high standards allow for progress to happen with an attitude of moving forward as a work in progress that can evolve,” Peg says. Building loyal and engaged audience on social media is a dream come true for most businesses. If you know them well, you’ll know how to delight them! In a podcast on ‘How to Cultivate Loyal Fans’, Holly Homer, who writes about blogging and social media strategies, says that using insights can help you know a great deal about your audience in order to provide them content they will be most interested in. Businesses spend millions to create one viral moment for their brand, but social marketing strategist, Ted Rubin believes that instead of artificially creating moments, businesses need to turn their attention to small things that happen every day! “The real influencers, the ones you can count on – the ones who matter most – aren’t the John Stewarts of the world, but are the everyday people that patronize your business, then talk about their experience with their social connections off and online,” says Ted. The key is to spend less on campaigning and engaging with these everyday influencers on a personal level. Constantly bombarding your audience with sales pitches can turn them off! It’s time to tell them a story. Stories impact your audience on an emotional level! “Stories can change opinions, attitudes and even brain chemistry,” says Kim Garst, social media thought leader, speaker and co-founder of Boom. They can serve as an incredibly powerful tool to build customer trust, get more people to read or view your content and help you stand out from competitors. From hate speeches to disclosing confidential company information and making a statement on the behalf of the brand, businesses need to strike the right balance between employee empowerment and protecting their brand. Founder and CEO of Company Folders, Vladimir Gendelman urges social media specialists to always remember the two V’s: valuable and visual. “People respond best to social media content that provides them with something beneficial,” he says, “be it helpful information or a product that solves their problems.” Even if your content is valuable, that doesn’t necessarily mean people will stop to read it; that’s where the “visual” comes in. Use engaging images and videos to help grab your audience’s attention. Images with bright, warm colors help create a sense of urgency and immediacy that encourages users to click. Social media can be a game-changer for businesses when done right. We extend a big thanks to all the experts for sharing their immensely helpful insights. Which one of these tips did you find most actionable? Have you already implemented some to your business? We would love to see your comments. We thank Mel Devent for this post. She is a passionate blogger who enjoys writing about all things digital marketing. She is currently working as a Marketing Associate at Blogger Sidekick, helping small businesses build authority brands with content marketing. In her spare time she loves scuba diving, watching movies and catching up with friends.